Tim Pawlenty? Message for a Tim Pawlenty! Is there a “Tim Pawlenty” in the House? 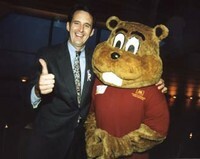 Message for a “Tim Pawlenty,” is “Tim Pawlenty” here? Pawlenty thinks he can veto the Transportation Bill?!?!?! Long overdue to put the state’s interests first, the Minnesota Legislature just gave the “Green Chameleon” a strong message smack upside the head. It’s good to know that sometimes people can be counted on to think about and vote for the public interest, the state’s interest, all of our interests, and buck party line to do it. THANKS!!! I mean really… how many bridges have to collapse, how many people have to die, before he’ll admit that we need to spend money on the roads in Minnesota? 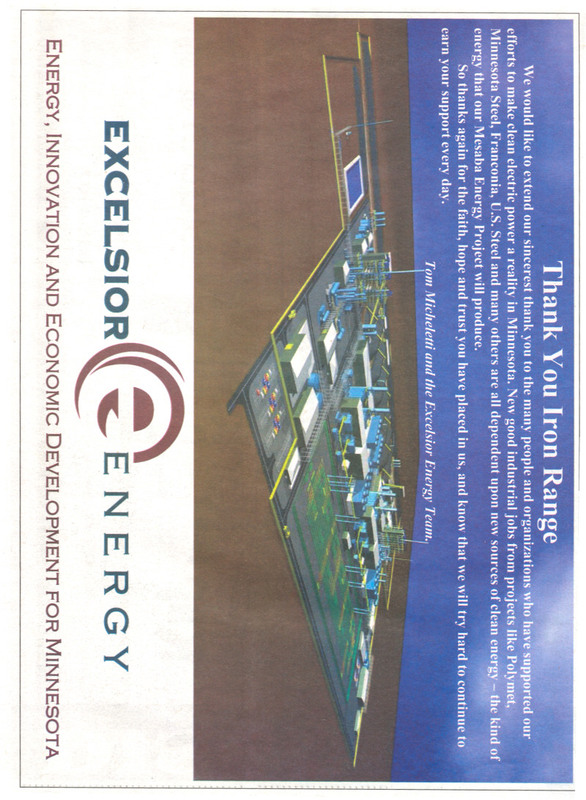 Aren’t Poly-Met and USSteel MP customers? So what gives? Why are they blathering this nonsense? WHO PAID FOR THIS? MINNESOTA TAXPAYERS? 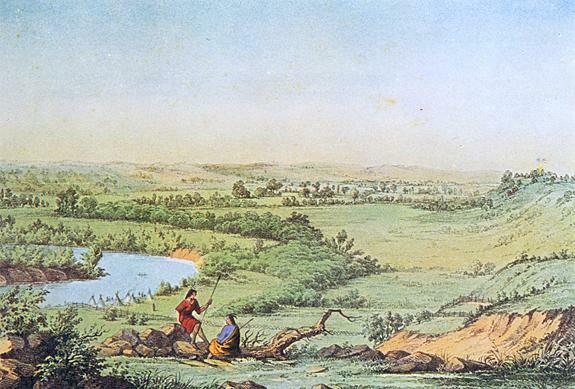 The Minnesota River at the Minnesota-South Dakota border, by Henry Lewis. Border Girl Reporting — a new blog from the Minnesota – South Dakota border… what’s going on there and perspectives of one “border girl” looking out into the world, looking out for us! GO Border Girl, GO!!! Welcome to the cybercrew! MR. MULLER: Okay, now, again, I am genuinely puzzled here. The permit expired 16 years ago. You all have actively been working on it for the last ten years. How can it be, then, that we are just now gathering data on the local impacts of these discharges and we are not now in possession of sufficient information to make the cooling water decision that Mr. Austin referred to? MR. MULLER: Is that really the best answer that’s available from the Department? Transcript p. 23, l. 6-18. NRG actually filed some comments, and there is a representative from NRG here. He is hiding. Okay. Transcript p. 12, l. 11-12. MR. HAYNES: Well, just ask what you want, and we will see. MS. OVERLAND: Well, what I want is, because this permit has been dragging on 16 years, 16 years worth of those reports, because I think it’s important to look at, you know, what you are really talking about here. Without that in the record, how do you know? They could provide a summary to make it easier so you could have the backup to refer. MR. HAYNES: How do you know what? MS. OVERLAND: How do you know what these discharges are? MR. HAYNES: They are on the reports. MS. OVERLAND: Right, and so without the reports, you don’t know. MR. HAYNES: Well, we know, because we have the reports. The Department has the reports. MS. OVERLAND: But they are not in the record. MS. OVERLAND: It’s okay, I am not that kind of lawyer. (Laughter) I have to wait to finish, but I am not that kind of lawyer. MR. HAYNES: As the hearing officer, I am acting for the Secretary. The Secretary, obviously, can look at everything he wants to look at. I mean essentially this is the public hearing record where the public makes their comments into the record. We develop an administrative record, which is kind of the basics, but anything I — Anything that I need to look at as a designated person acting on behalf of the Secretary tonight in preparing my report and my recommendation, I have investigatory powers, I have powers to subpoena as part of that. So does the Secretary. So there is that greater, bigger record. MR. HAYNES: We don’t have to develop everything tonight is what I am saying, in terms of tonight is to hear from the public. It’s a public comment period. So I guess it’s not like in a court of law where tonight we have to develop every single piece of information to be considered by the Secretary. That’s not what tonight is. Tonight is to hear from the public, to hear public comments, suggestions what the permit should be doing, and exactly the comments that Mr. Austin, Mr. Zak, and Mr. Muller all made were excellent comments. Okay? MS. OVERLAND: Okay, but it also turns on the word “may” and you may look at them if you want to. What I want to do is assure that that gets into the record. So what would it take, say, then, for me to get copies of these? Can you send them out? Are they electronic? MR. HANSEN: For you to have copies of them? MR. HANSEN: All we need is a FOIA request telling us exactly what you want, and we will get it for you. MS. OVERLAND: And when does the record close here? That was another question. MS. OVERLAND: Well, 16 years. MR. HAYNES: What would you like? MS. OVERLAND: Well, what I am looking for is the discharge monitor reports for 16 years that this permit has been sitting around, and a record of violations, which you had also discussed earlier, and that those be either I get them or that they be entered into the record. I would be happy to take them and then enter them into the record myself, but that the record be open long enough to get that into the official record of this proceeding. MR. HAYNES: Okay, why don’t we — Mr. Hansen, do you know how long — I mean some of those are going to be archived, unless you have them at your office. I don’t want to commit to a large search on your part. MR. HANSEN: It’s probably going to take us two weeks to be able to go back 16 years. If you wanted to go back six, five or six years, we can get those pretty quickly. MS. OVERLAND: Why don’t we start there? MR. HANSEN: Whatever you would like. MR. HAYNES: Alright, we will commit to providing those to you. MS. OVERLAND: Thank you. That’s important. Transcript p. 62 , l. 11- p. 66, l. 4. Gee, wouldn’t you think that it’d be a matter of course to have DNREC’s records of violations and discharges in the official hearing record?